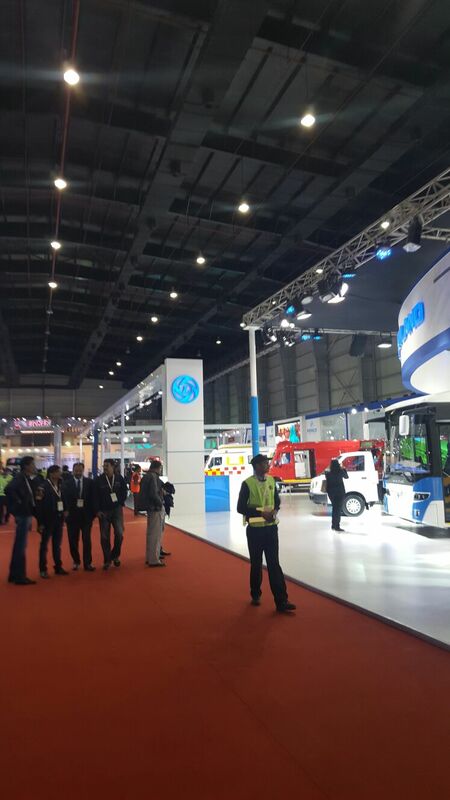 Auto Expo 2016, the most important Automotive exhibition for the Indian market, celebrate a formal opening of a new model line: Emergency Vehichles. 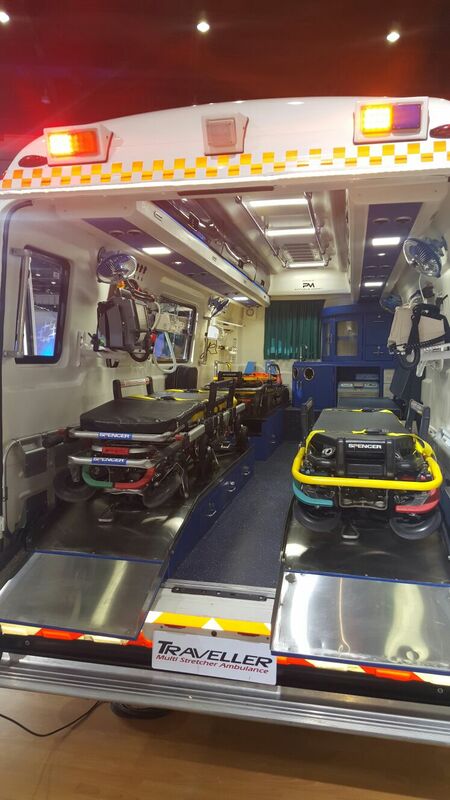 It will be a revolution in the EMS asiatic standards? 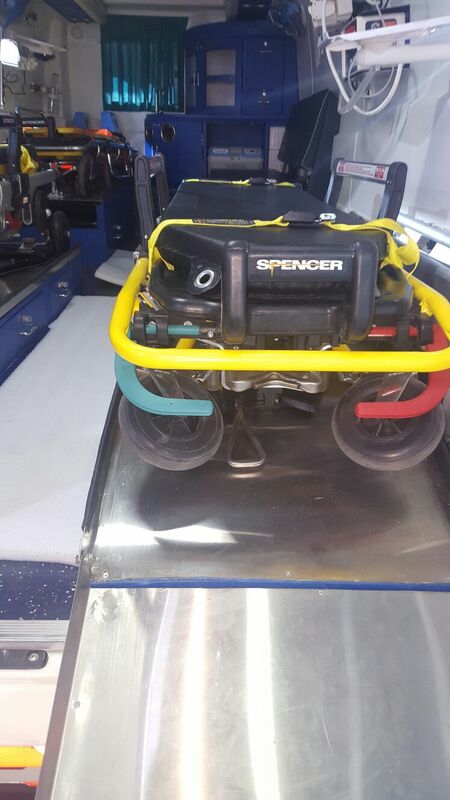 So far, only the German BMW manufacturer have enjoyed the specialized production of Authority vehichles. But it’s a line for cars and motorcycles. 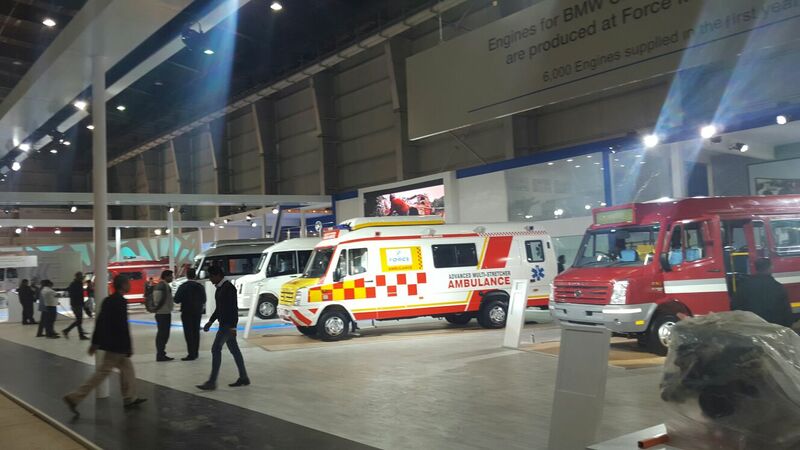 Never before a production line was fitted for ambulances and Light Civil Protection Vehichles. 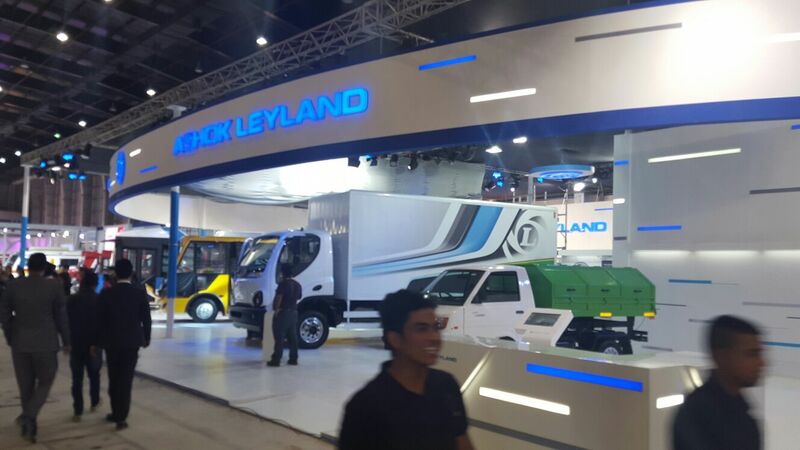 But during the Auto Expo 2016 in New Dheli we have seen a little revolution. 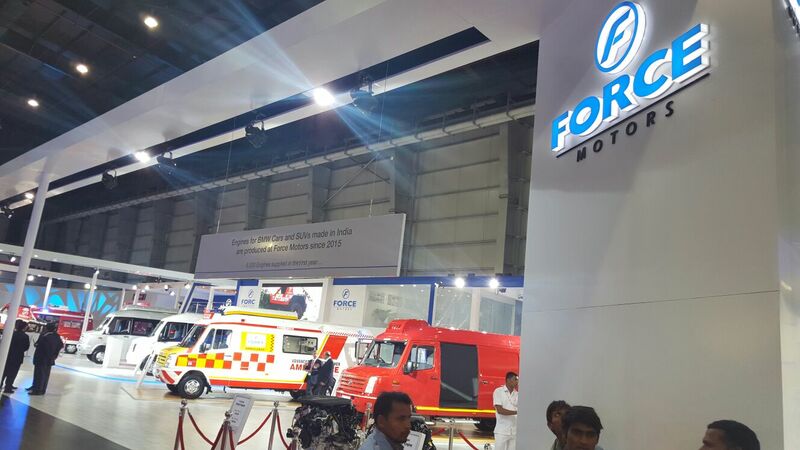 Among the protagonist there are also lights and sirens from the Force Motors area. The disaster response van and the new ambulance are unmistakables. 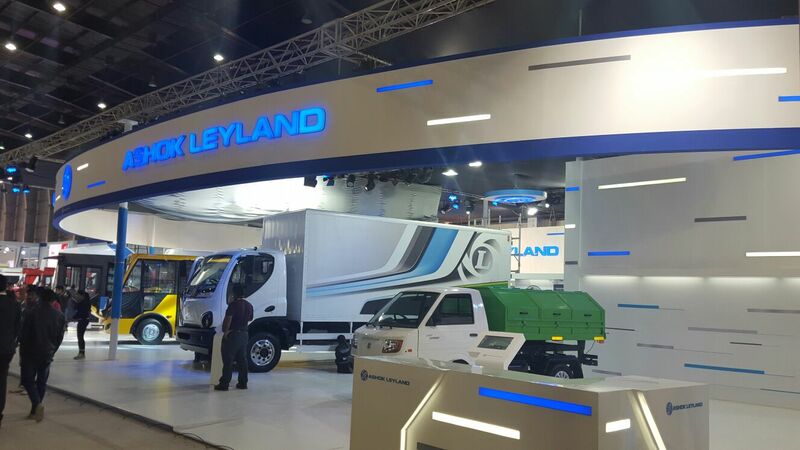 Force is one of the most important commercial vehichles manufactoring of Asia. 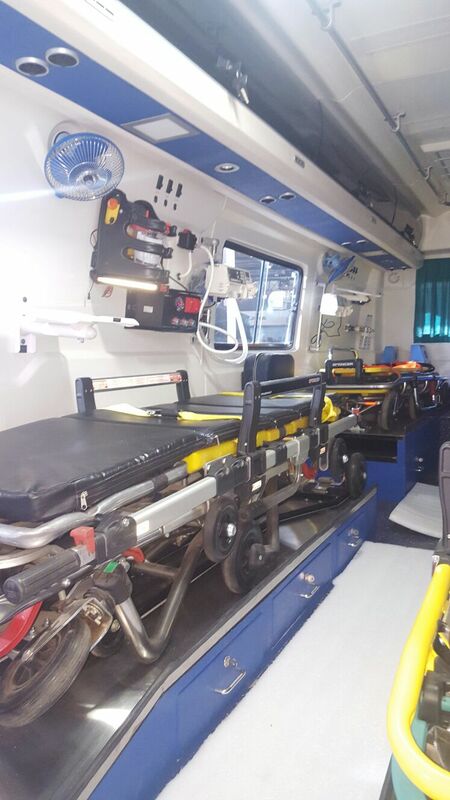 The decision to produce in its own a line of emergency vehichles is really charming, and it open new vision of the future for the ambulance sector. Force Motors present 6 new products based on the Traveller model. 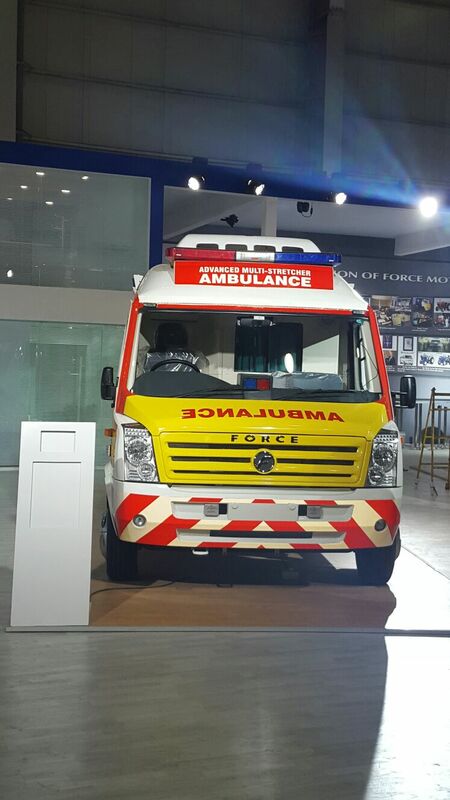 Two of them are dedicated to the Indian EMS services, Civil Protection and Fire Brigades. The two prototipes are ready to hit the road. 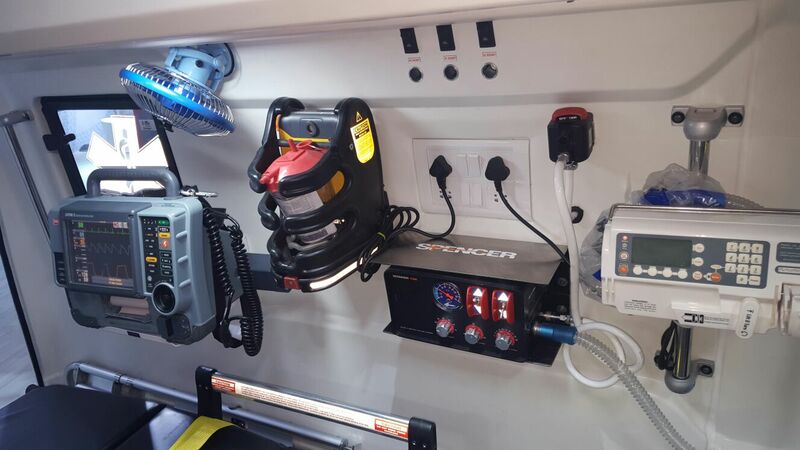 The First Responder Van, designed to fit the fire brigades and Civil Protection requirements, is equipped with thick ropes, fire hose, metal cutters and cameras to suit various rescue conditions. 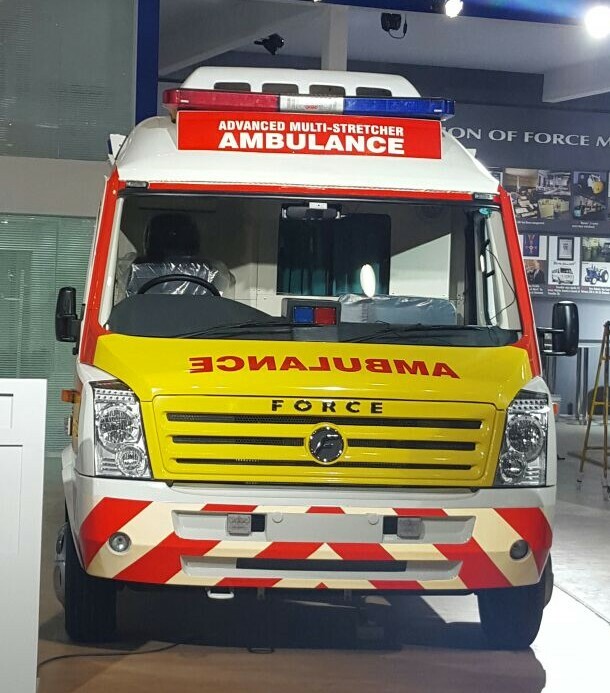 Force Motors tell us that this vehicle is fitted for operate during landslides, earthquakes, and other natural disasters. 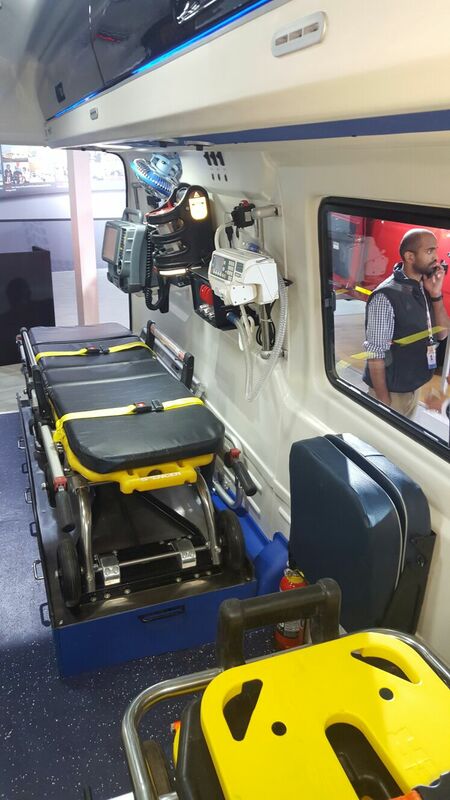 The ambulance is no different in the outlines, but really full of innovation inside. 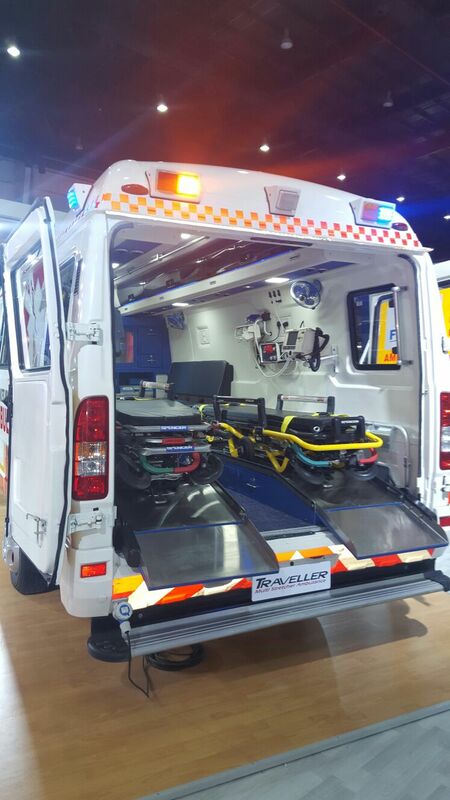 First impression could be that this is really big, but it can fit 4 self-loading stretchers, and wall are equipped with the traditional medical devices used on ALS ambulances (Type B in Europe). 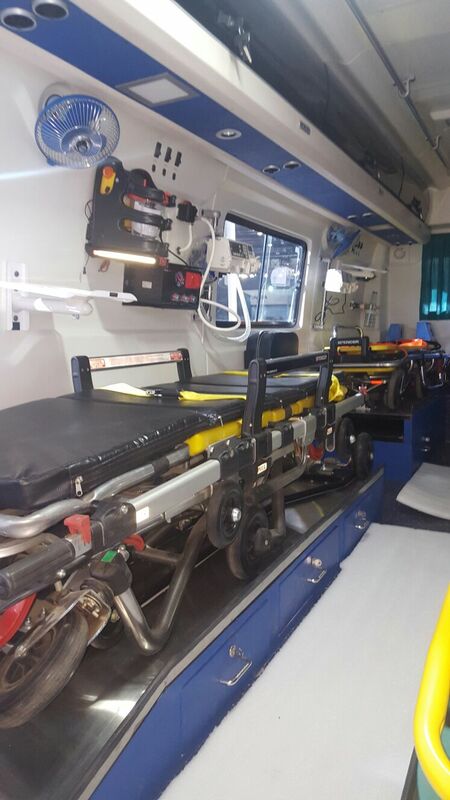 This ambulance could transport also 2 physicians and a nurse. 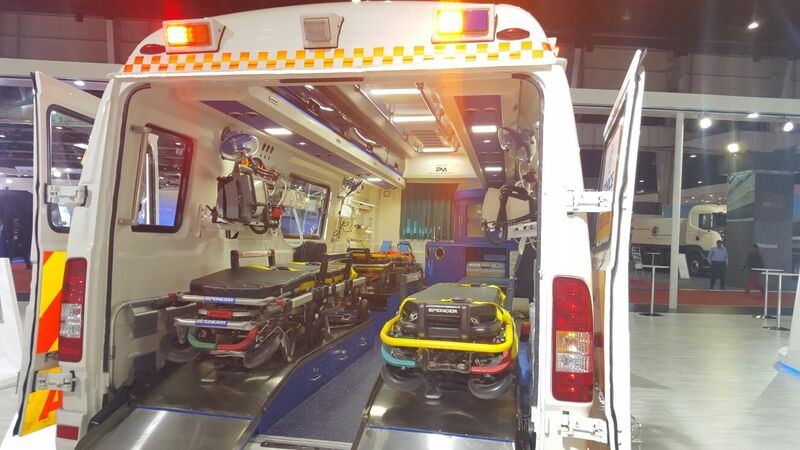 The ambulance aim is to reduce casualty operating in accident zones. The crew can pick up victims and made a rapid transportation to the nearest Emergency Room. 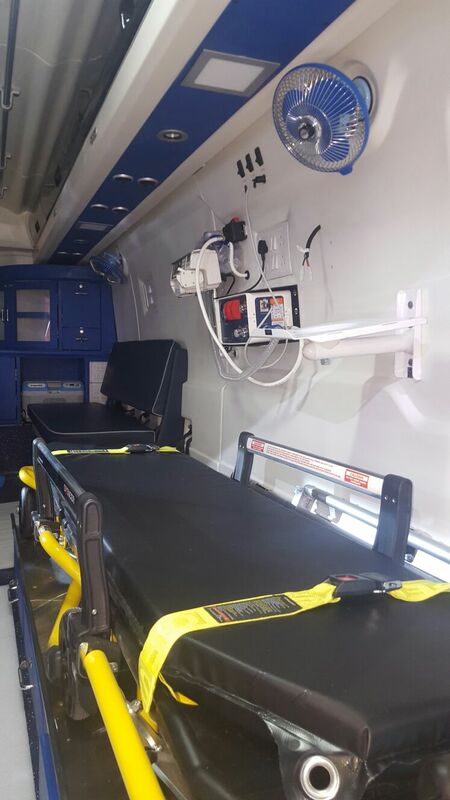 It give the critical life support that victims require at the spot.